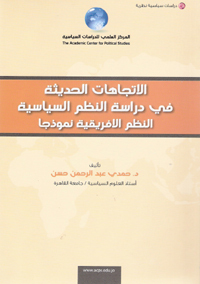 The book, "Recent trends in the study of political systems: systems African model", Professor Dr. "Hamdi Hassan," which was issued by the Scientific Center for Political Studies / Jordan, one of the most prominent books theory which dealt with the recent trends in the study of political systems, where he focused the book on the monitor and analysis of the general trends of modern, which seized on the study of the political systems of Africa since the end of the eighties and the beginning years of the nineties of the twentieth century, through the study of political development in Africa - since the declaration of political independence - and show what has undergone transformations of knowledge and methodology differentiated, which is identified in three phases essentially, the first is the early stage, which includes most of the years of decolonization, and the beginning of national independence, and the concomitant establishment of liberal democratic systems in most African countries, and which was marked by excessive optimism and enthusiasm for the launch of the African development. The second phase, which extends from the mid-sixties to the late eighties, it was characterized by a formula to abandon liberal pluralism, and a shift toward a one-party system, and the establishment of direct military intervention in political life, and the presence of a competitive electoral systems. The third and final phase - which started since (1989) the occurrence of mutations in concrete political systems of Africa, the result of international pressure that accompanied the shifts in the international system after the Cold War, as well as internal pressure from public protests and toast the opposition was marked abandon one-party system, and the decline in military regimes, and the transition to democracy, as well as the development of political thought dropped to be replaced by the thought of political conditionality and structural adjustment. The writers tried to address a range of important issues, such as: the problem of the political systems of Africa, and to identify the general theory or even partial political systems of Africa, and the location of such a theory - if any - within the general theory of political systems, Second: the geographic scope represented by the political systems of the African, Thirdly, the problem of state in Africa. It also focused researcher on certain concepts considered basic themes of political systems of Africa, including: one-party system in terms of the nature and patterns and functions, and the political leadership and their functional role in the process of building a nation-state, and the political role of the military, and political corruption. May reach the author to a number of important results, including: that close approaches and entrances technologies used in the study of the political systems of Africa (democratization, structural adjustment, and globalization, and management of ethnic conflicts), although it reflects the trends of postmodernism in the analysis of comparative politics in general, they totally did not exceed the traditions of the previous stage; since reiterate some close approaches and assumptions, such as: political economy, state and society relations. It also notes the dominance of the entrance to the democratization trends study, which prompted the yard comparative analysis of a set of new concepts, such as: the concept of governance, as reaffirmed on other concepts or developed, such as: the election, and militarization, and civil society, and the environment. 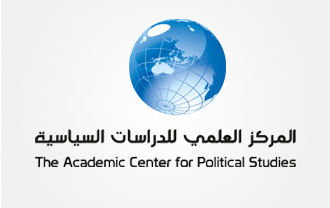 Finally, the author concludes that the attention of Arab researchers to study the political systems of Africa is still limited; The study of African political systems still suffer from problems of methodology, and the absence of holism in understanding the reality of Africa.